The cold weather is keeping soil temperature below the desired range for good germination. 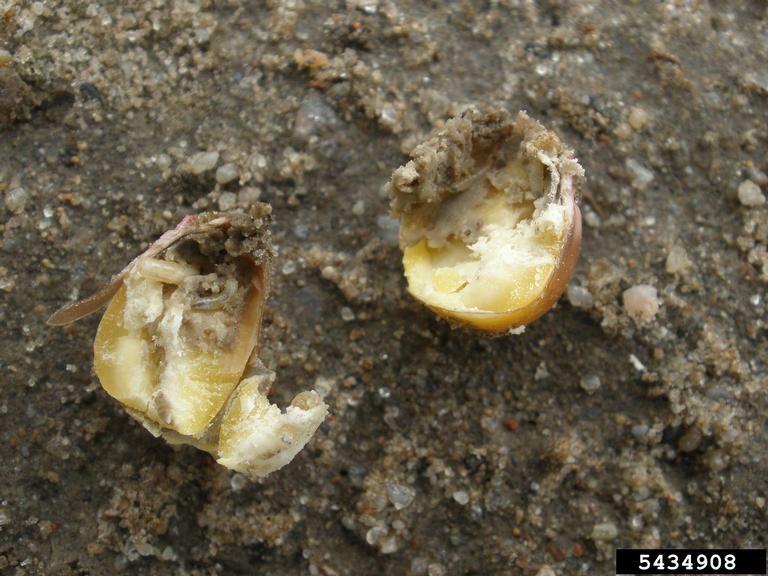 The longer seed remains in the ground before emerging, the more time seed is susceptible to seed corn maggots and wireworms. In addition, experts are warning us not to count on this winter’s brutal, low temperatures to reduce pests. 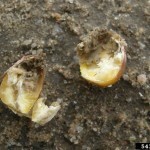 Be wary of planting untreated seed. Using untreated seed in check rows in our Rutgers 2011 sweet corn trials resulted in pitiful 28% stands. Most sweet corn seed is now commercially treated before you receive it. Common treatments may include Cruiser, Gaucho, Poncho (these extend protection to early flea beetles), Lorsban or various other branded combination treatments. If your seed is untreated, you can use a hopper box treatment of Concur or Latitude or, at-planting soil-applied treatments with Counter to help suppress early pests. Consult page F178 in the 2014 Commercial Vegetable Recommendations. Dig around some emerging sweet corn plants; you might be surprised at what you find!